You can purchase EasyCert using either a credit or debit card, or you can alternatively pay be cheque. Checkout the product comparison page for assistance on which product to buy. Print the complete range of electrical certificates including all BS 7671, BS 5839, and BS 5266 certificates onto plain. 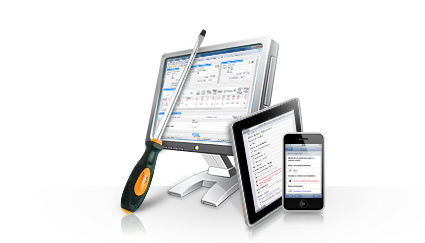 Includes all the great benefits of EasyCert Pro desktop software and also includes mobile software for your IPhone, IPad, or Android. Confused about which product to buy? click here to compare each product. Has your Customer Care Package expired? You can renew your Customer Care Package for a further 12 months. To renew or extend your Customer Care Package, click the Buy Now button opposite. Additional user licenses can be purchased individually or in license packs depending on your requirements. To purchase additional user licenses, click the Buy Now button opposite. Existing customers can upgrade to a different EasyCert product. To purchase an EasyCert Upgrade, click the Buy Now button opposite. Software purchases are for a single computer installation only. You will need to purchase additional licenses if you want to install and use the software on more than one computer. For customers purchasing the mobile software, the purchase is for 1 device installation only. You will need to purchase additional licenses if you want to install and use the software on more than one mobile device. Once your order has been completed, you will be emailed your Registration Number and activation instructions. This should normally only take a few minutes. Your personal Registration Number will unlock the software and convert it into the fully working version.